The Executive Committee would like to thank you all for being a part of Saraswati Puja 2018. It was a fun filled day starting from the puja to the exquisite dinner prepared by the Food Committee! The theme of the children's art competition was "What I Like About Saraswati Puja" from which we were able to see the creativity of the kids. The Ankur Dube Memorial Talent Show left us nothing but spellbound (click here to see few moments of the performances). We were also left shocked by the evening natok "Chomke Debo." The kids never fail to amuse us. 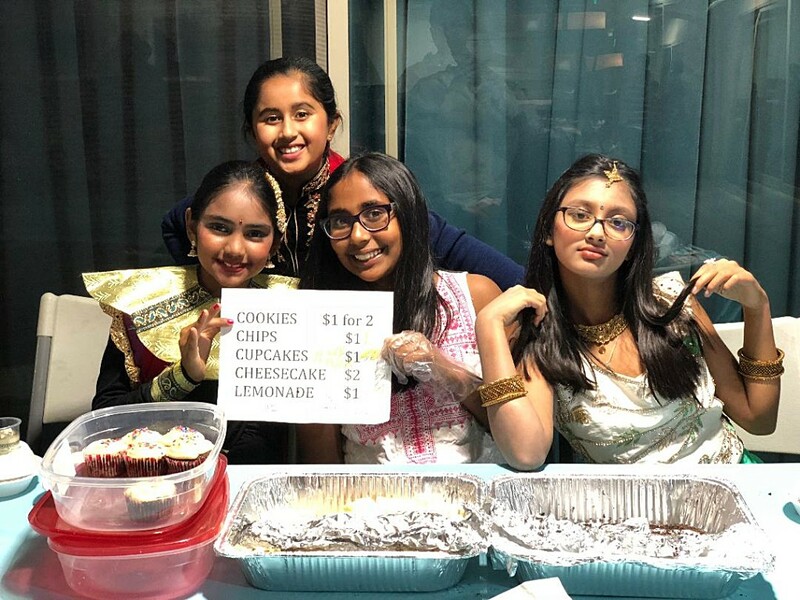 A few of them raised funds by selling homemade desserts and other goodies to the community. The proceeds will go to a local charity. The Petri Paint Workshop is a class to learn more about biology and bacteria in a fun, creative way. We will be painting with brightly colored, genetically modified bacteria. Our age restriction for the event is 7+ years. The program can accommodate 20 kids only and there are X spots left. 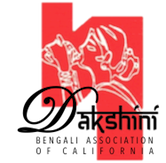 Email Titash Biswas (titash7@gmail.com) to sign up. 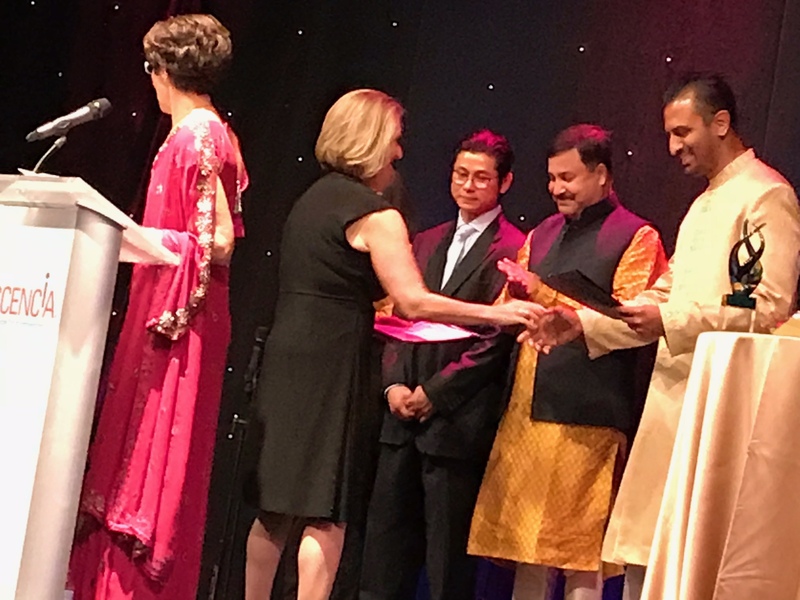 Our very own Siddhartha Biswas was honored as a part of the Ambassador of Hope Award given to Shire Los Angeles by Ascencia (www.ascenciaca.org) for corporate citizenship and invaluable service to the community. Ascencia is an organization in the Los Angeles community whose mission is to lift people out of homelessness. Sidhu(da), as a part of the Guest Chef program led a team of 120 Shire employees who donated over 500 hours of volunteer time and resources to provide dinner the 1st Friday of every month. He was awarded a certificate of recognition by Congressman Adam B. Schiff from the United States House of Representatives at Ascencia's 12th Anniversary Gala held at the Globe Theatre at Universal Studios Hollywood.